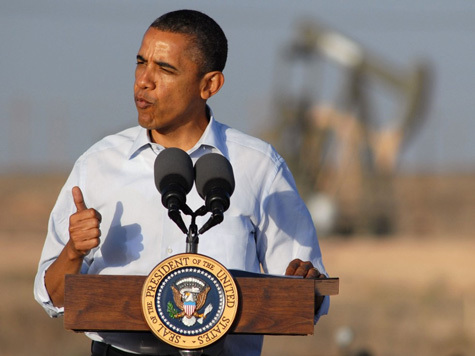 When Obama took office in 2009, the average price for gas was $1.84 a gallon. Today, it’s well over twice that, and in many parts of the country it’s more than $4 a gallon. Taken on top of the 43 straight months of unemployment at higher than 8%, this is terrible news for the Obama administration. Yet Obama should have seen them coming, because his policies have largely caused them. These are Obama’s gas prices. Early in his presidency, Obama’s Interior Secretary Ken Salazar began making it more difficult for oil and gas companies to get permits to drill for oil domestically. This effectively froze oil and gas procurement without freezing demand for oil and gas products. Following this, the BP oil spill took place and Obama ordered a moratorium on the expansion of oil and gas procurement in the Gulf. A District Judge ruled the moratorium unconstitutional, but Obama has maintained part of it anyway. Then there was the Keystone XL Pipeline, which would have transported nearly 1.1 million barrels of crude a day into the U.S. from Canada had it been approved. But Obama nixed the construction of that pipeline, so China is now working with Canada to find a way to send all that oil to the communist paradise instead. Moreover, offshore drilling is a no-go for the Obama administration, as is oil and gas procurement in ANWR or Alaska’s Outer Continental Shelf (OCS). And between ANWR and the OSC alone, there are billions of barrels oil and more than one hundred trillion cubic feet of natural gas left untapped. Under pressure in an election cycle, Obama is starting to rethink some offshore drilling opportunities in Alaska, but it’s too little too late at this point. We have spent nearly four years suffering high energy prices under his governance and are now paying an excruciatingly high price at the pump.